The questions we have selected to answer from the Contender Ministries list are the ones that differ from the 50 questions posed by Tower Ministries. Almost all the questions are attacks that use faulty logic. As FAIRlds.org points out, if you pose the question, “When did you stop beating your wife,” the question is loaded. Many questions use LDS scriptures out of context, and many improperly use biblical scriptures, as well. They are the same sort of questions that the Pharisees posed to Jesus, and they are meant as a form of entrapment, especially since some seem to have no right answer. #7. 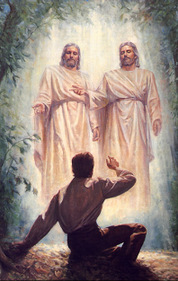 Joseph Smith stated that without the ordinances and authority of the priesthood no man can see the face of God and live (Doctrine and Covenants 84:21, 22). He also said that he saw God in 1 820 (Joseph Smith 2:17). Joseph Smith, however, never received any priesthood until 1829 (Doctrine and Covenants 13). How did he see God and survive? In which was he in error: his revelation in Doctrine and Covenants 84:21, 22 or his experience in the grove? And this greater [i.e., Melchizedek] priesthood administereth the gospel and holdeth the key of the mysteries of the kingdom, even the key of the knowledge of God. Therefore, in the ordinances thereof, the power of godliness is manifest. And without the ordinances thereof, and the authority of the priesthood, the power of godliness is not manifest unto men in the flesh; For without this no man can see the face of God, even the Father, and live (D&C 84:19-22). The scripture is referring to the power of godliness, and not to holding the priesthood. In another section (67), it says this: “no man has seen God at any time in the flesh, except quickened by the Spirit of God” (D&C 67:11). The Book of Mormon tells the story of the Brother of Jared, who had very little knowledge, but so much faith that the Lord could not keep himself hidden from him (Ether 3). The Lord reveals Himself to those who are quickened, and has revealed himself to righteous men and women in all dispensations. # 11. If Mormonism is the restored church, which is based upon the Bible, why are Mormon leaders so quick to state that the Bible is “translated wrong” when faced with some conflict between the Bible and Mormonism? # 13. 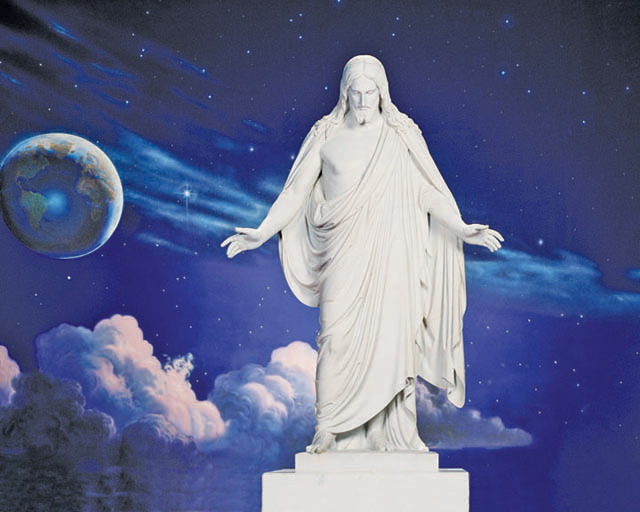 Why did Christ not return in 1891 as Joseph Smith predicted? I was once praying very earnestly to know the time of the coming of the Son of Man, when I heard a voice repeat the following: Joseph, my son, if thou livest until thou art eighty-five years old, thou shalt see the face of the Son of Man; therefore let this suffice, and trouble me no more on this matter (Doctrine and Covenants 130:14-15). I was left thus, without being able to decide whether this coming referred to the beginning of the millennium or to some previous appearing, or whether I should die and thus see his face (D&C 130:16). I believe the coming of the Son of Man will not be any sooner than that time (D&C 130:17). For the day of my visitation cometh speedily, in an hour when ye think not of; and where shall be the safety of my people, and refuge for those who shall be left of them? (Doctrine and Covenants 124:10). 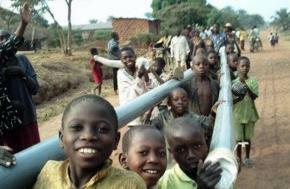 For the time is at hand; the day or the hour no man knoweth; but it surely shall come (Doctrine and Covenants 39:21). I, the Lord God, have spoken it; but the hour and the day no man knoweth, neither the angels in heaven, nor shall they know until he comes (Doctrine and Covenants 49:7). Watch, therefore, for ye know neither the day nor the hour (Doctrine and Covenants 133:11). # 14. Journal of Discourses Vol. 2, page 210 says Jesus was being married to Mary and Martha in Cana. Why then was he INVITED to his own wedding? This is a record of a discourse given by Orson Hyde, who was a leader in the Church. He believed that Jesus was married, but it was his own idea, and never a doctrine of the Church. The Journal of Discourses is not a book of scripture. “This question discounts a non-canonical belief of an early LDS leader based upon the translation of a single word in a single verse in the gospel of John” (FAIRlds.org). # 16. How can Mormons teach that the repentant thief was not saved when the Book of Mormon states that Paradise is where the righteous go? “Paradise” is the Spirit World, where the righteous go after they die to await resurrection and judgment. Spirits in the Spirit World have volition, and can continue to learn. The gospel of Jesus Christ is taught to these spirits, and they still can make decisions regarding their degree of acceptance before the process of their salvation is complete. # 17. How did Nephi with a few men on a new continent build a temple like Solomon’s while Solomon needed 163,300 workmen and seven years to build his temple? 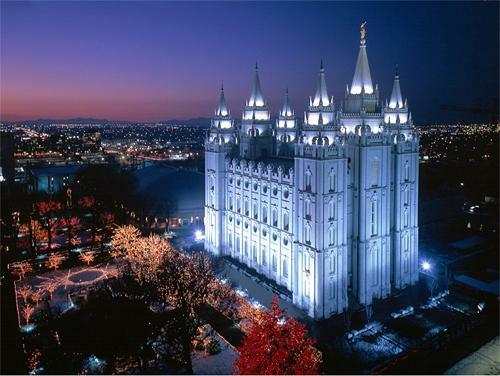 And I, Nephi, did build a temple; and I did construct it after the manner of the temple of Solomon save it were not built of so many precious things; for they were not to be found upon the land, wherefore, it could not be built like unto Solomon’s temple. But the manner of the construction was like unto the temple of Solomon; and the workmanship thereof was exceedingly fine. Nowhere does it say that it was built on the scale of Solomon’s temple. Also, there were many people on the American continent when Nephi arrived. # 18. If the book of Mormon is true, why hasn’t a valid geography been established for the book? A valid internal geography has been established for the Book of Mormon historical account in the new world, and a valid geography has been established for the account in the old world. #19. Why was Joseph Smith still preaching against polygamy in October 1843 after he got his revelation in July 1843 commanding the practice of polygamy? He had to counter the accusations of John C. Bennett about licentious and unauthorized plural marriage in Nauvoo. Many of his statements were targeted at rebutting Bennett’s distortions. #20. If Lehi left Jerusalem before 600 B.C., how did he learn about synagogues? Very early synagogues have been discovered and many Jewish scholars believe they existed since the Exodus from Egypt. #23. How do Mormons account for the word “church” in the Book of Mormon, about 600 B.C., which was centuries before the beginning of the Church on the day of Pentecost? #27. If polygamy was a provision for increasing population rapidly, why did God give Adam only one wife? Polygamy doesn’t increase population rapidly. The purpose, as stated in the Book of Mormon (Jacob 2:24-30) is for the Lord “to raise up seed unto himself.” In other words, it is for the purpose of raising up righteous seed, not numerous seed. #28. Doctrine and Covenants 129:4, 5 says, “When a messenger comes saying he has a message from God, offer him your hand and request him to shake hands with you. 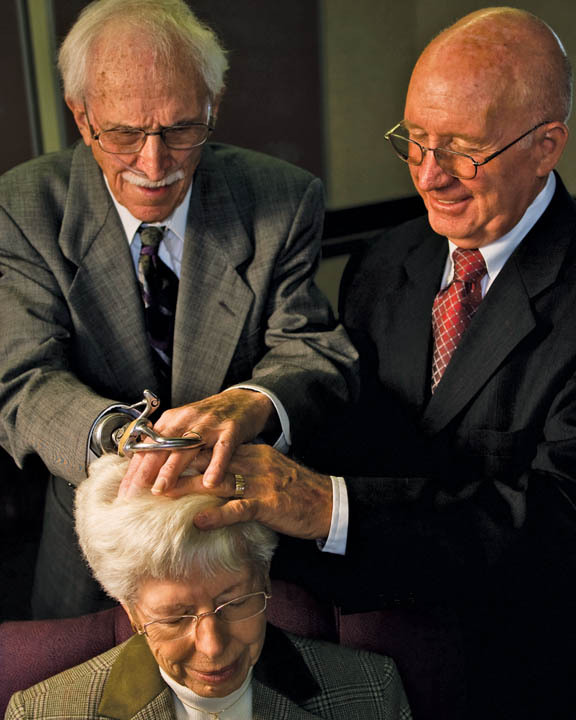 If he be an angel he will do so, and you will feel his hand.” How can this test distinguish between an angel of God and a Jehovah’s Witness missionary…or a Mormon Elder. This has nothing to do with greeting mortal beings. Joseph Smith had plenty of experience with heavenly messengers, and they were mostly resurrected beings who have substance. He was informing others how to distinguish between resurrected beings and disembodied spirits. #29. If Joseph Smith was a true prophet, why did he fail to realize that “Elias” is the N.T. form of the name “Elijah”? (D & C 110:12,13 and 1 Kings 17:1 and James 5:17) How could Elijah (Elias) have appeared to Joseph Smith in the Kirtland Temple as two different people? From FAIRlds.org: It is certainly true that “Elias” is the Greek form of the Hebrew “Elijah.” And, there are times within scripture where “Elias” is clearly meant to refer to the Elijah of 1 Kings. (See, for example, Matt. 27:47-49, Rom. 11:2, James 5:17). The Hebrew name, often transliterated “Isaiah,” Yesha’yah[u] appears in the Hebrew bible on many occasions, but used to denote different “Isaiahs” than the prophet who authored the Book of Isaiah. These names are rendered Esaias in the Septuagint (LXX), and are rendered Jesiah and Jesaiah in the KJV and many other translations of the Old Testament. In D&C 84, Joseph Smith may have used a different transliteration of the Semitic name to differentiate one Isaiah from another. Indeed, we have many New Testament parallels in translation literature, such as the Jude/Judas variant for the same name in the New Testament. The Jews gave up their business and attended to him. He obtained one Nathan in Jerusalem to pass for his Elias, or forerunner. If the critics wish to condemn Joseph Smith for using Elijah and Elias as separate people, they should first resolve similar issues elsewhere in the Bible and in Christian thought.